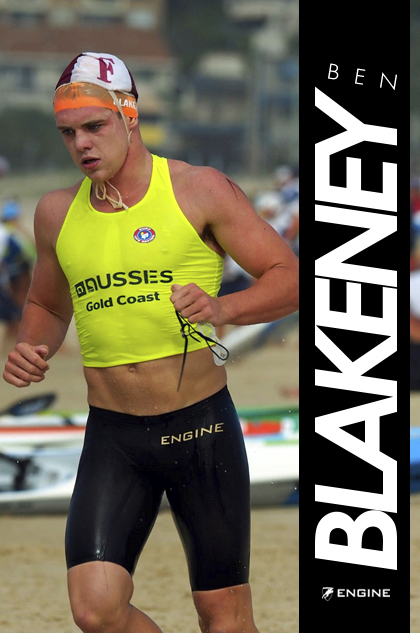 Personal Best Results: Aussies surf race final U/19s and belt race medal at Aussies and State. Goals for this Season: Open surf race final at Aussies, Ironman final at state. Weekly Training Schedule: 6 swim sessions, 5 surf sessions, 3 gym sessions. Favourite Training session: Saturday morning pool and gym. The squad is a great size and good fun, with a circuit gym session and solid pool session following, it’s a great start to the weekend! Favourite Engine Product (and why): Club cuts, they are so comfy and work for everything! Mentors: Mum, she always supporting me, believing in me and providing me with the opportunities to be my best. Favourite Quote: Excuses will always be there for you, opportunities won’t.